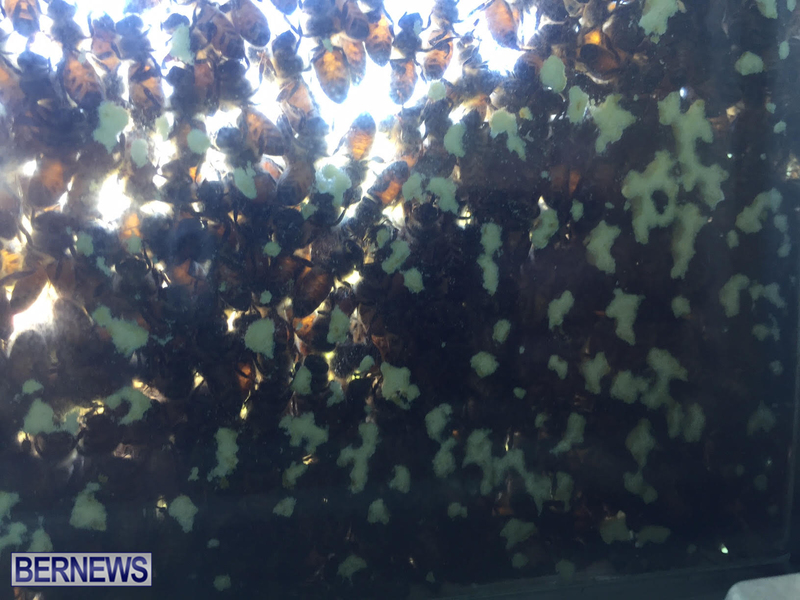 [Updated with video] Bernews experienced a somewhat unusual occurrence today [May 29], with a bevy of bees having swarmed two windows. 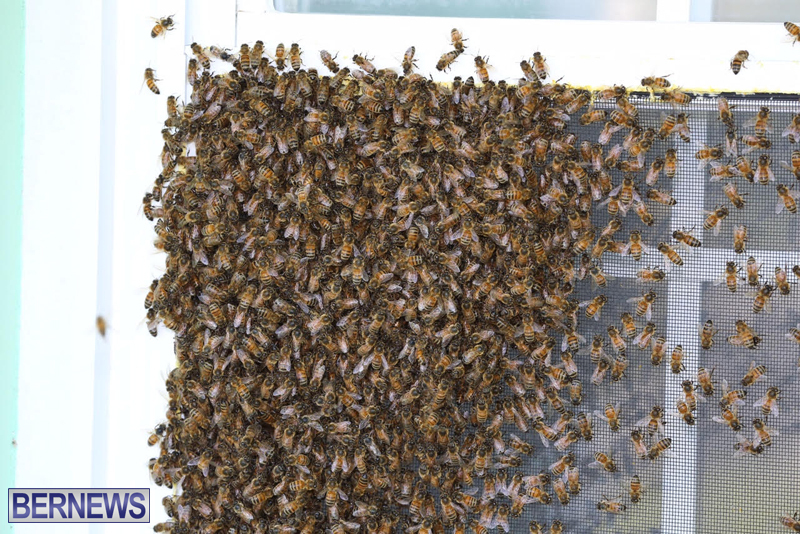 While attempting to make arrangements to have the bees safely removed, we took the opportunity to film them since they did take it upon themselves to land right in camera view. 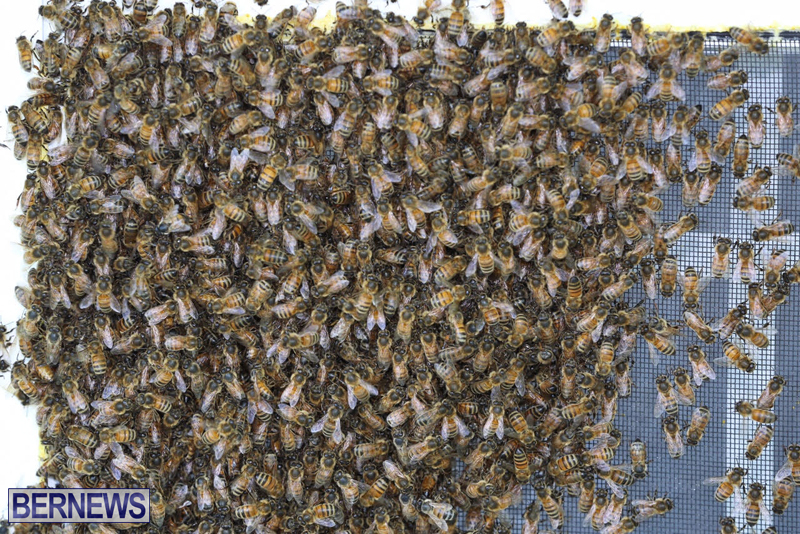 As far as removing bees, if you find yourself in a situation like ours, the Ministry of the Environment previously said, “Healthy bee colonies increasing in size will swarm, leaving some bees and a queen in the old hive with the old or new queen and some workers leaving to find a new location. 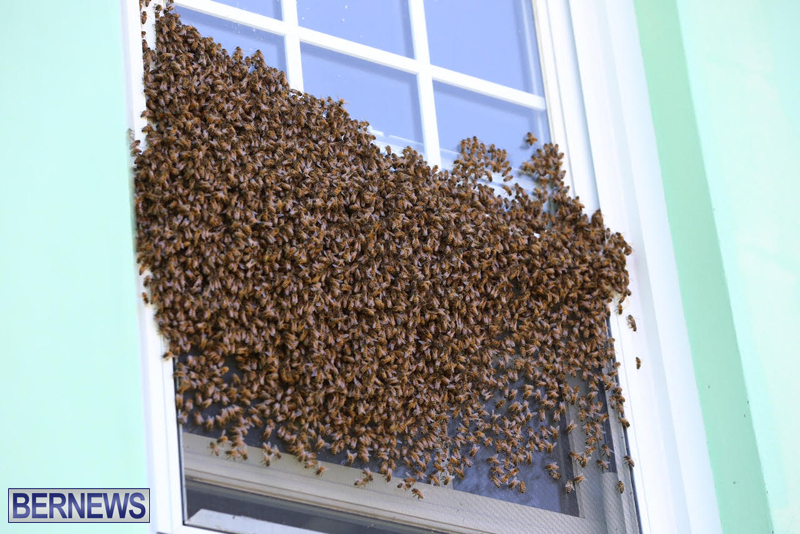 “A swarm that is still looking for a home may rest on a branch or side of a house temporarily, though holes in trees, roofs and buildings may be suitable homes for a swarm. Update May 30, 6.27am: Beekeeper Spencer Field is on scene to remove the bees, and kindly gave us permission to live stream the removal. The video below shows the outside view, you can watch the inside view via our Periscope. 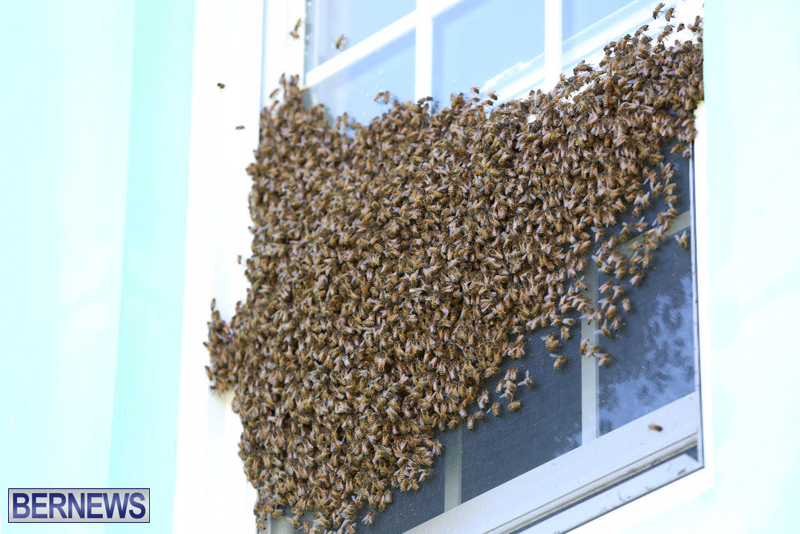 Update 7am: We are pleased to say the bees are now removed [!] and the 33 minute live stream replay is below. 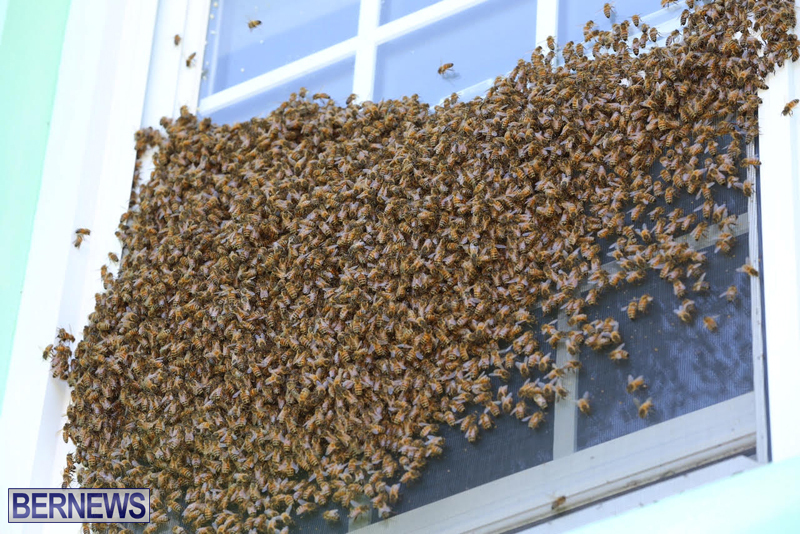 Update 8.39am: The bees appear to have been planning to make themselves at home; with the photo below showing what they left on the window, however thanks to Mr Field, their plans were interrupted. If you find yourself in a situation like ours, Mr Field can be contacted at 704-4411 or fieldshivesandhoney@gmail.com. 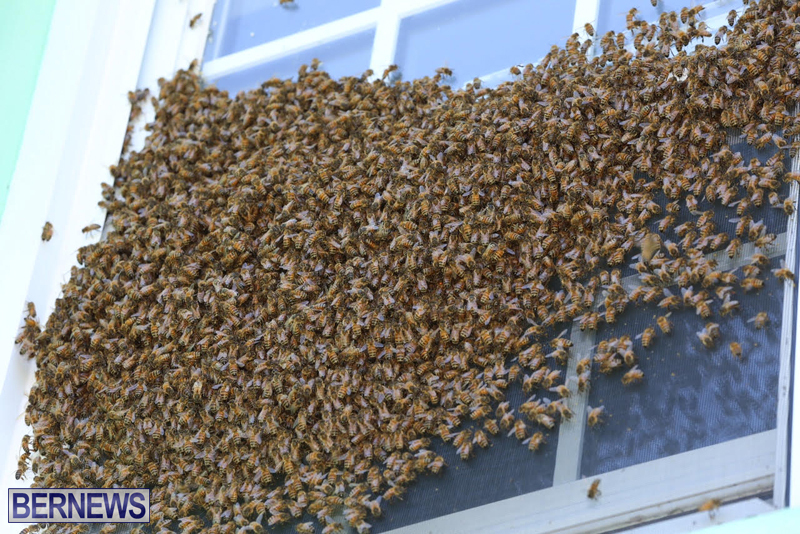 His removal was free, as he is aiming to help the bee population, which has been declining in recent years. World would be a terrible place without them. Interesting, would an Industrial Shop-Vac vacuum been mores sufficient. Since the object is to keep them alive, I’d say no. 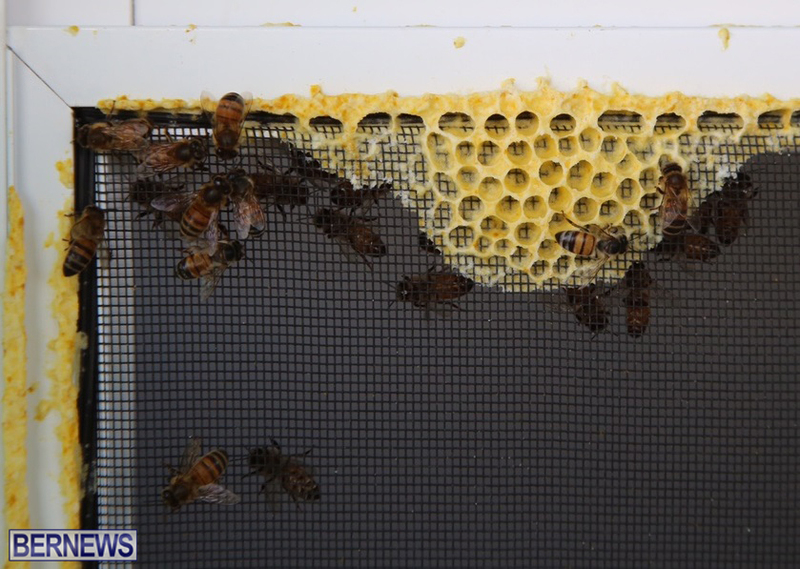 The suction pressure can’t be too strong or else you risk damaging or killing the bees. Onion Juice. We can always count on your positive and insightful comments. NOT! The method isn’t that far off, but the vacuum pressure must be low so as not to hurt the bees if possible. You especially want to make sure you take the queen alive, otherwise it would have been all in vain. It cannot be expressed strong enough to he importance that these creature play in life for us, and ever effort should be given to make sure they enjoy a safe and healthy environment so that we can too. Very good to see bees maybe they are having a come back. Bees are indeed important and fascinating creatures. Beekeepers are also important and really interesting people. I went to my first Bermuda Beekeepers Association meeting on Saturday down at Mr. Furbert’s Honey House and I thoroughly enjoyed what I learned. You should check them out to learn more about how critical bees are for mankind. Where can we find more information on what you did? 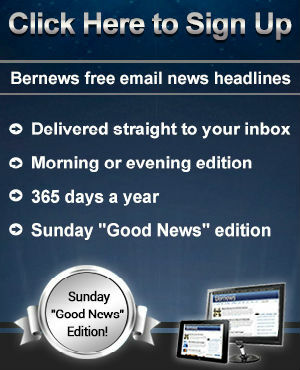 First of all I think it is excellent that he cares so much about Bermuda’s environment to be doing this for free! Cheers to you Mr. Field! And these bees are magnificent creatures, it’s amazing to just watch how they adapt so easily and stick together. 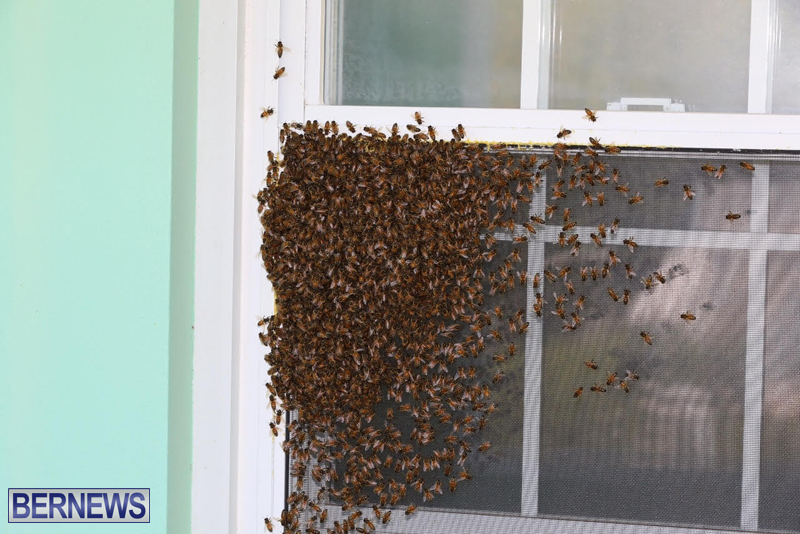 We had bees on our house 2 swarms, the first were removed by one bee keeper who then sent us a huge bill for his trouble and hounded us over it.